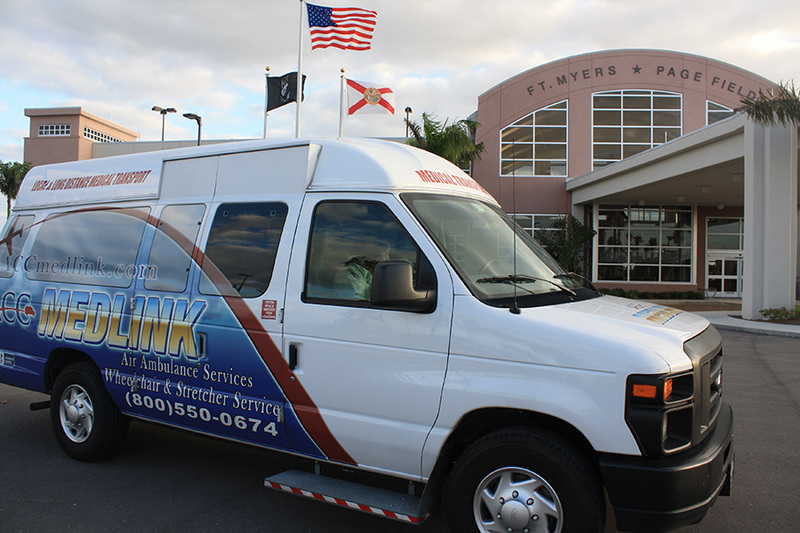 Our Ford E-Series passenger van is loaded with value yet still provides a clean, spacious, and comfortable ride. 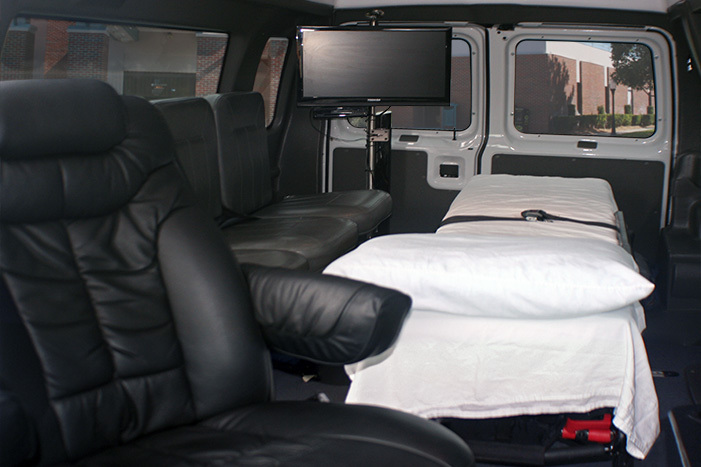 The Ford series is the perfect choice for patients traveling alone who don’t require the extra space for family afforded by our Sprinter transporters. Ample room for the patient comfort and care. 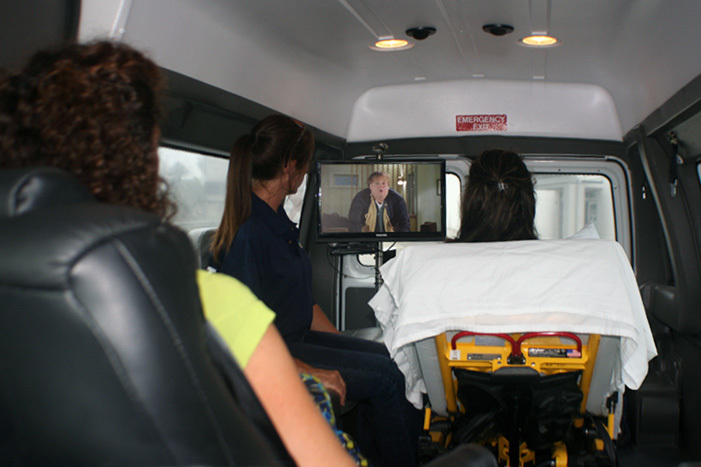 Medical professional on-board every trip. Flat panel TV, DVD player and Wi-Fi internet. Our mid-range transport fleet provides comfort and value. Our Ford series transporters offer the same great entertainment options as our Sprinter vehicles with a state of the art flat panel TV, DVD player and Wi-Fi internet. Relax on the way to your destination with your favorite movie. If you have a laptop, tablet or smartphone with you, take advantage of Wi-Fi(available upon request) during your ride and keep in touch with friends and family. Our high quality TVs, DVD players and Wi-fi internet ensure that your ride is as entertaining as possible.